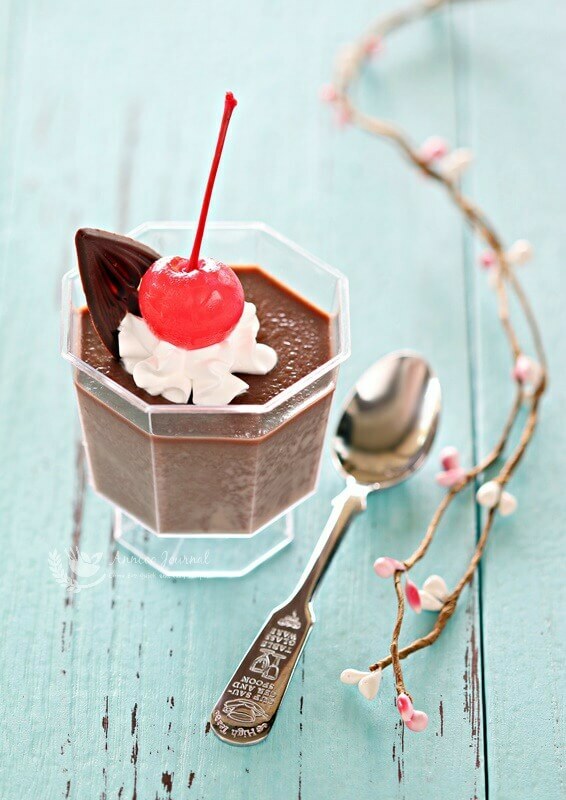 This Chocolate Nutella pudding is really yummy and not overly sweet. 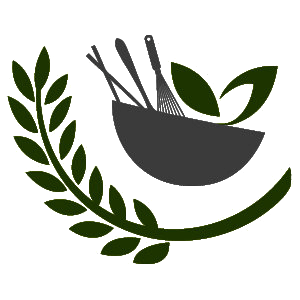 It’s very easy and quick to combine all the ingredients together in just about 12 minutes. 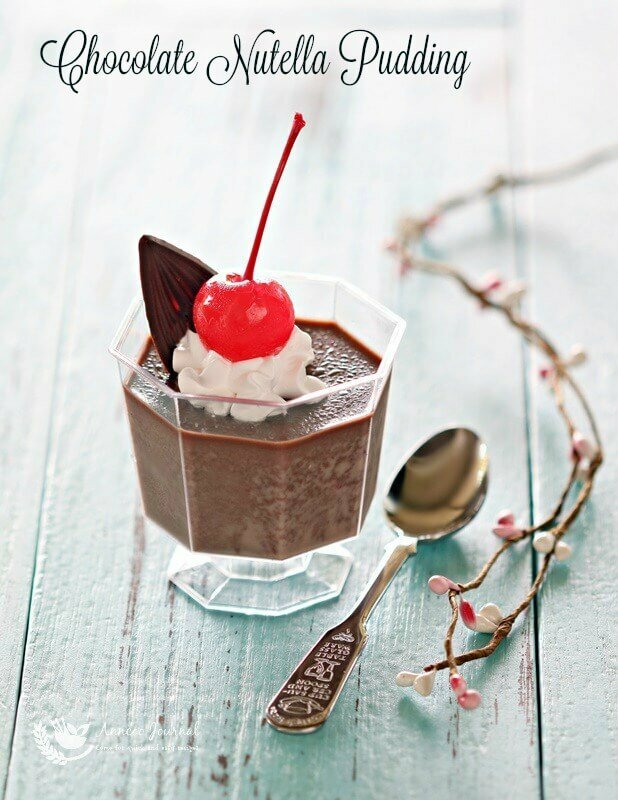 The fragrant chocolate pudding is smooth and light with a little hint of nutella spread. It’s best to use a good quality cocoa powder (I used Valrhona) to enhance the flavour of this decadent dessert. 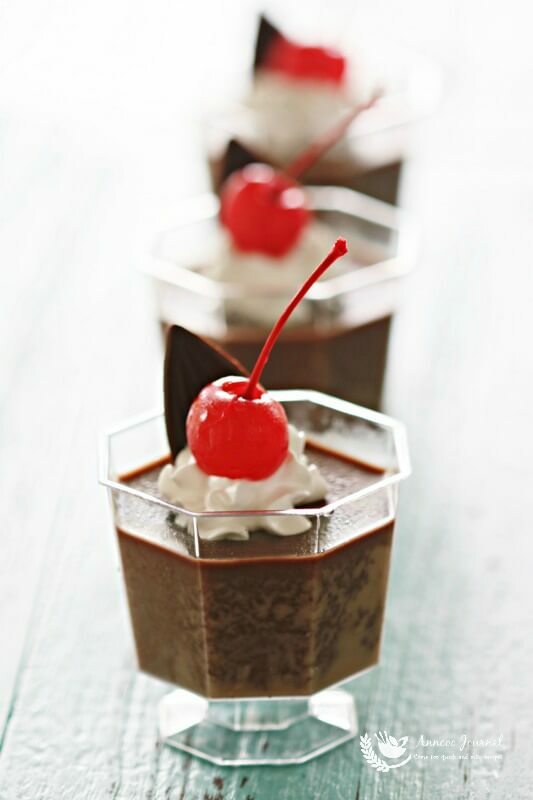 Anyone who loves chocolate will surely enjoy this velvety, rich indulgent dessert on any occasion or festive season. Anyone who loves chocolate will surely enjoy this velvety, rich indulgent dessert on any occasion or festive season. 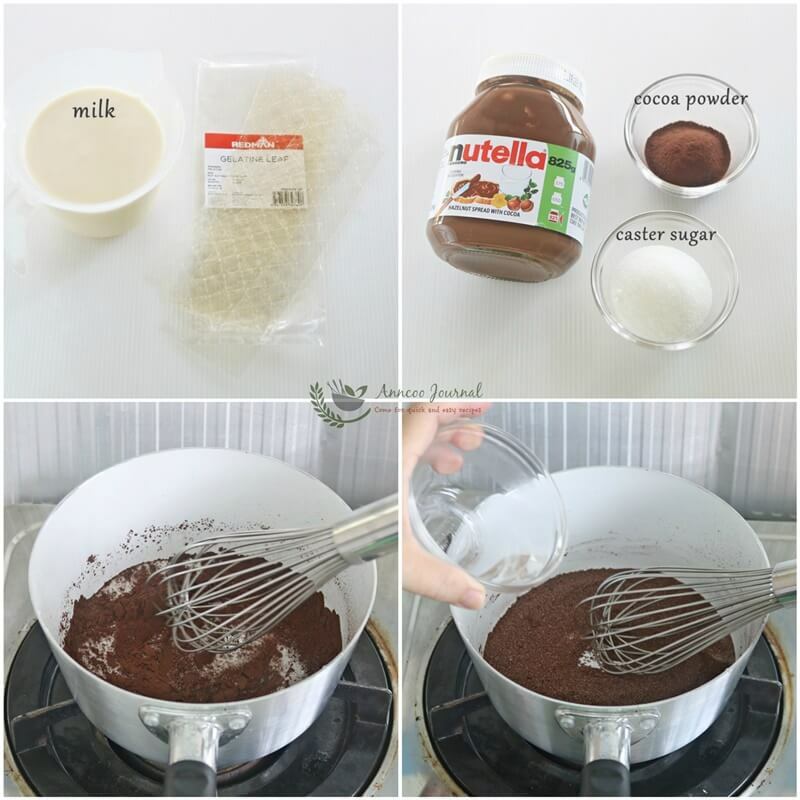 Combine cocoa powder and sugar together in a pot. Add 4 tablespoons of hot water into it and stir well. 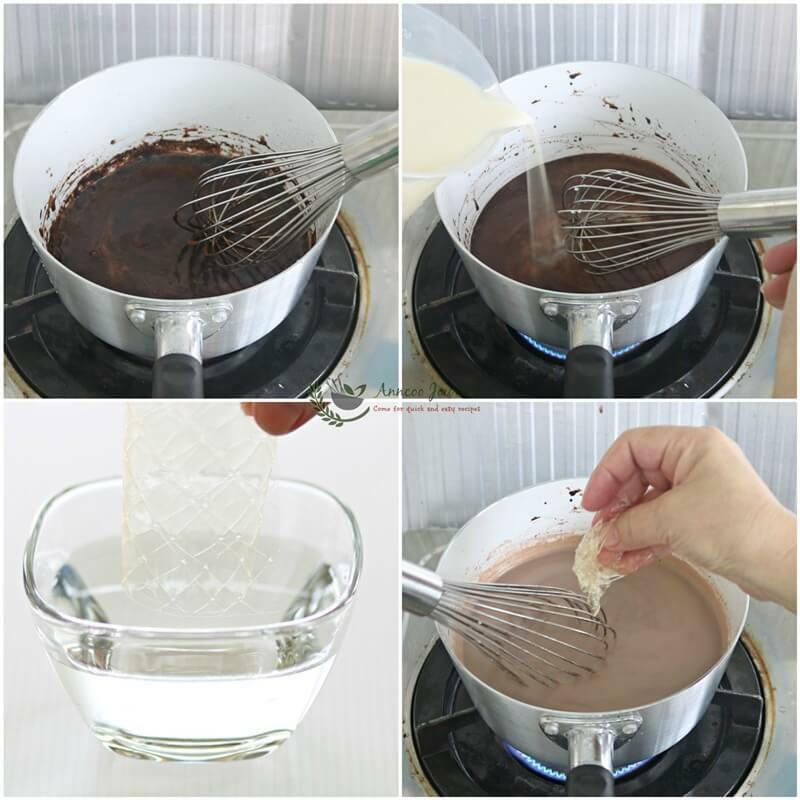 Gradually pour in milk and vanilla extract, stir well again. Under medium heat, bring milk mixture to a boil. Soak the gelatin leaves into cold water for a few seconds, squeeze out excess water and drop into milk mixture, stir till gelatin melted. Off heat and stir in Nutella, stir well again till melted. 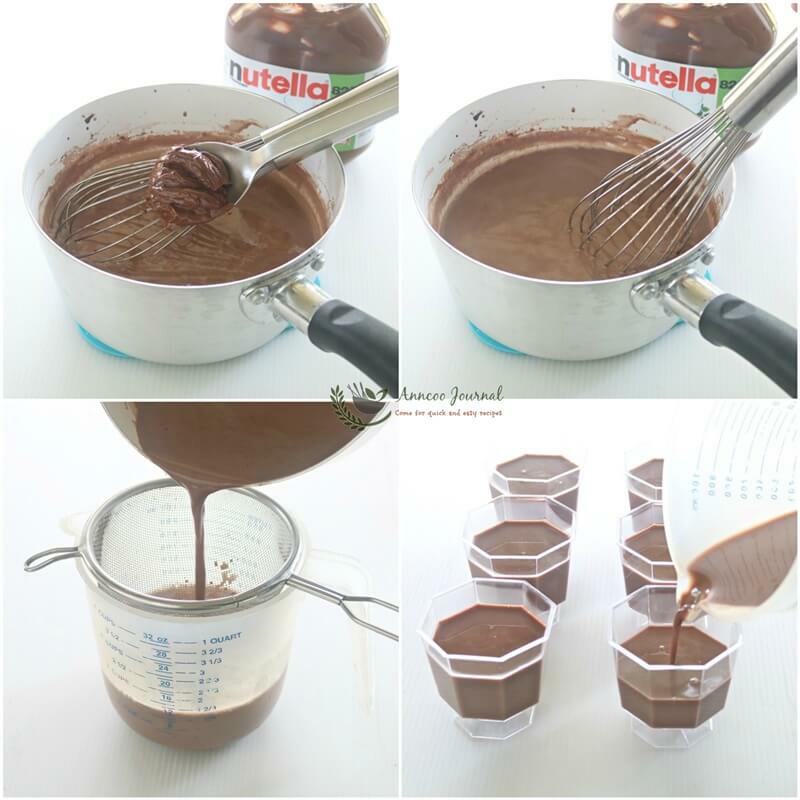 Strain chocolate liquid mixture and pour into serving cups. Chill pudding for at least two to three hours till set. Beautiful and tempting…these are for sure a crowd pleaser!